You are here: Home / Halloween / Elphaba/Wicked Witch of the West Make Up Tutorial! Elphaba/Wicked Witch of the West Make Up Tutorial! Elphaba is a phenomenal and lovable character from the novel then Broadway musical: Wicked. 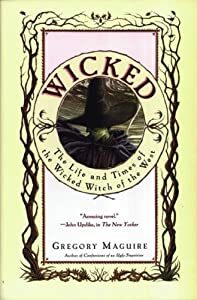 Contrary to her regularly recognized persona as the evil ‘Wicked Witch of the West’ this untold tale goes behind The Wizard of Oz to reveal a heartbreaking story about the witches of Oz. As you can see, the makeup seen here is not the exact version you will see on Broadway. I decided to create a more playful version by adding more glimmer and color. I chose red lips over green because I love the promotional poster of Wicked where Elphaba is seen with red lips and a small smile, her hat covering her eyes. All Credits & Gratitude to WICKED & its creators and owners. « Doll & Big Eyes Make Up Tutorial!